Zarina Vildanova (Зарина Вильданова) is an up-and-coming contemporary Tatar singer. She is from Kazan, the capital of Tatarstan, Russia. She sings in a range of styles—jazz, folk, and pop—and languages, but much of her music has a focus on Tatar sounds and culture. Vildanova has an extensive musical education. After getting a degree at Kazan State University in the philology department, she went on to study in the pop and jazz department at Kazan Music Institute (Казанский музыкальный колледж) and then the Russian Academy of Theater Arts (ГИТИС) in Moscow. Vildanova’s music career appears to be pretty recent, though she has already participated in a wide variety of festivals and concerts across Russia. Some highlights include Winds of Change (“Узгэреш жиле”), a festival of Tatar songs, and the TV contest “Tatar mony 2016” (“Татар моны 2016”). 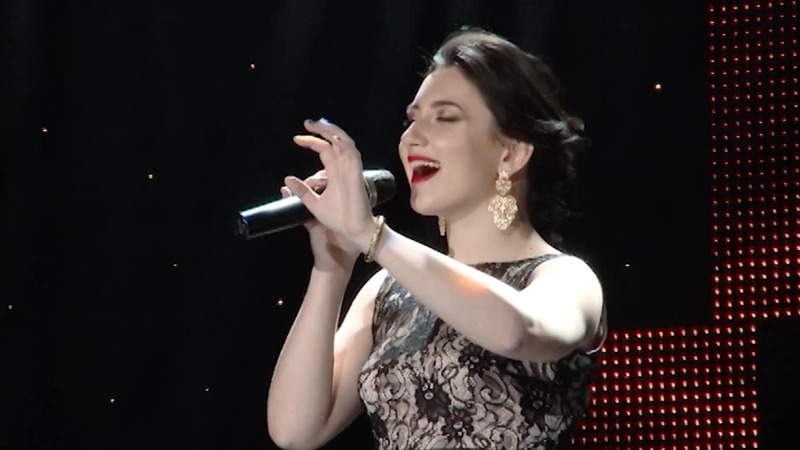 She participated in Turkvizyon (the Turkic-language-countries’ version of Eurovision) in 2015 and was a finalist of the “Jazz Manor” (“Усадьба Jazz Роза Хутор”) festival in Sochi. She’s released a number of songs and recently participated in recording a new album from Yummy Music, along with Ilgiz Shaykhraziev (Ильгиз Шайхразиев), Said Olur and Rustem Nurislamov (Рустем Нурисламов). Yummy Music is the number-one indie record label in Tatarstan and counts among its clients a number of contemporary Tatar singers and bands, as well as actors and dancers. Әй, сезгә нинди җыр кирәк? Эх, май үтә дә җәй җитә.